Home » Blog » What Is So Special About Our Self-Guided Bicycle Tours? What Is So Special About Our Self-Guided Bicycle Tours? 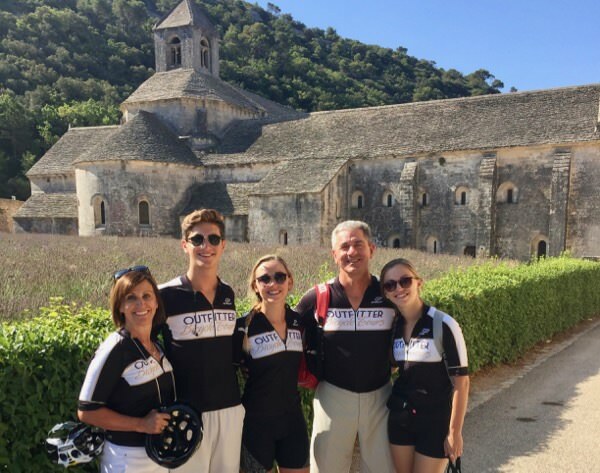 Our Self-Guided bicycle tours are a notch above, and anything but “self-guided” – guests are not left to do any of the heavy logistical planning of your vacation. You, our guest, come to us with dates and cycling dreams and we take care of the rest! Picking a tour from our tour calendar isn’t necessary – we are on your schedule! During our Self-Guided tours guests are given the same great service as on our Guided tours, but without a support vehicle following closely nearby. A concierge/guide is a phone call away, and can assist as needed. Read on for more information. We curate a private tour for our guests. Our Self-Guided tours are great for couples, groups of friends, or family vacations. Your group is self-selected, and we can handle any number of guests – from 1 to 15. The itineraries on our website are merely suggestions. Use them to create your own vacation. Add a day or three, go in another direction from our route, or stay in one village an extra night. Even upgrade the hotel accommodation! We can work with you to create your dream vacation. Our guests are taken care of by one of our local concierges/guides during the entire tour. We prefer to call them “concierges” because they are actively involved with your tour and help curate special experiences on and off the bike. Our guides are actually local – not guides shipped into your destination to take care of guests. They greet guests at the beginning of the tour, ensure that luggage is transferred from hotel to hotel, and are always a phone call away for assistance. Have a flat? Lost on the road? Need help finding a great place for lunch? Just give them a call and they will assist. They even come out on the road if necessary. Additionally, they are also great resources for off-bike activities. Don’t want to be forced to certain dates for your cycling vacation? Then our Self-Guided is the way to go. Tell us your vacation dates and we work around your schedule. Routing is provided three ways! Just like learning math in school, each of us has certain ways to absorb and translate riding directions and routing. That is why we provide three different methods of routing on our tours: 1) GPS course downloads for your GPS unit, 2) traditional cue sheet, and/or 3) written prose describing each turn and the surrounding area. These methods are then supported by a roadmap (in most destinations local-area Michelin Maps are provided). Follow the route the way you prefer, and your chances of getting lost are very small. We also provide GPS units standard for our Self-Guided tours in Asheville, Provence, and Tuscany. The upside is that Self-Guided bicycle tours give the guest the ultimate in flexibility with your cycling vacation. Our guests get to name the tour dates, accommodation level, riding difficulty, and are able to customize nearly every aspect of the tour.